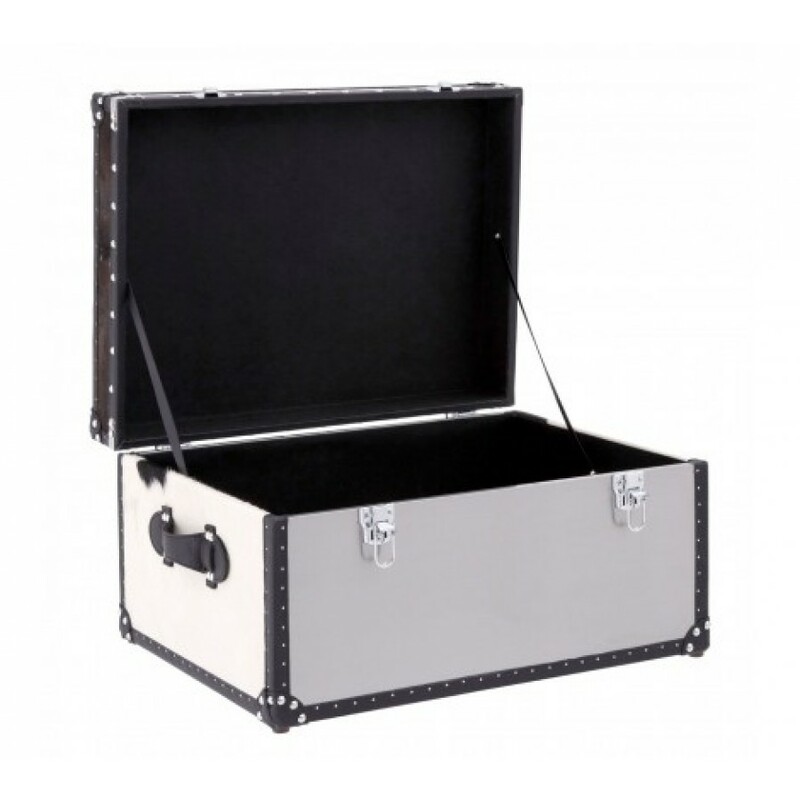 The lid and sides of this storage trunk are covered with genuine black and white cowhide. 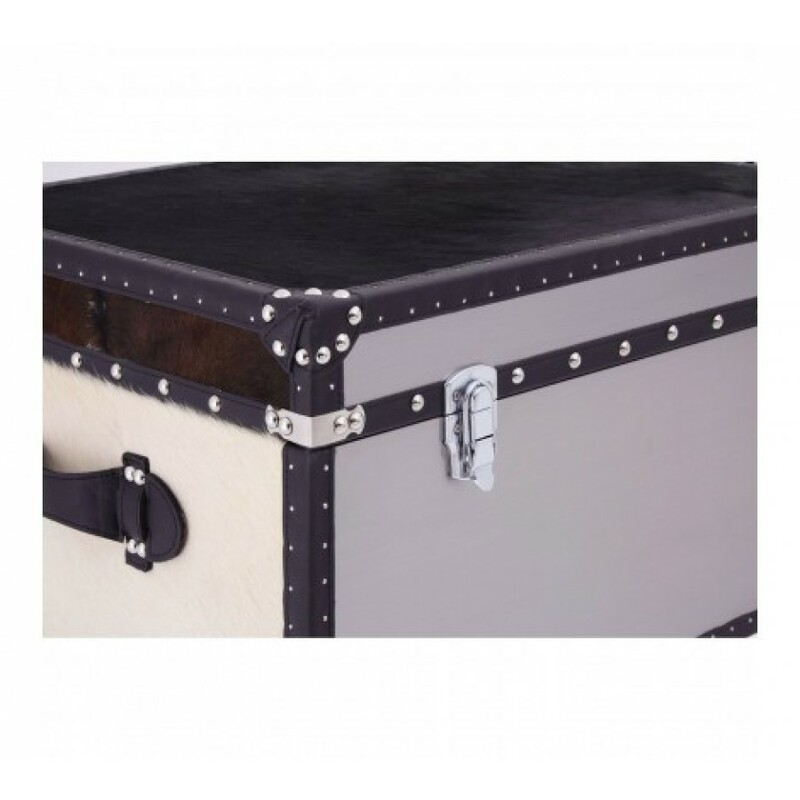 A pair of stainless steel clasps keep the trunk's lid secure, which opens easily to reveal a deep storage space that is perfect for storing bedding, toys, or clothing. 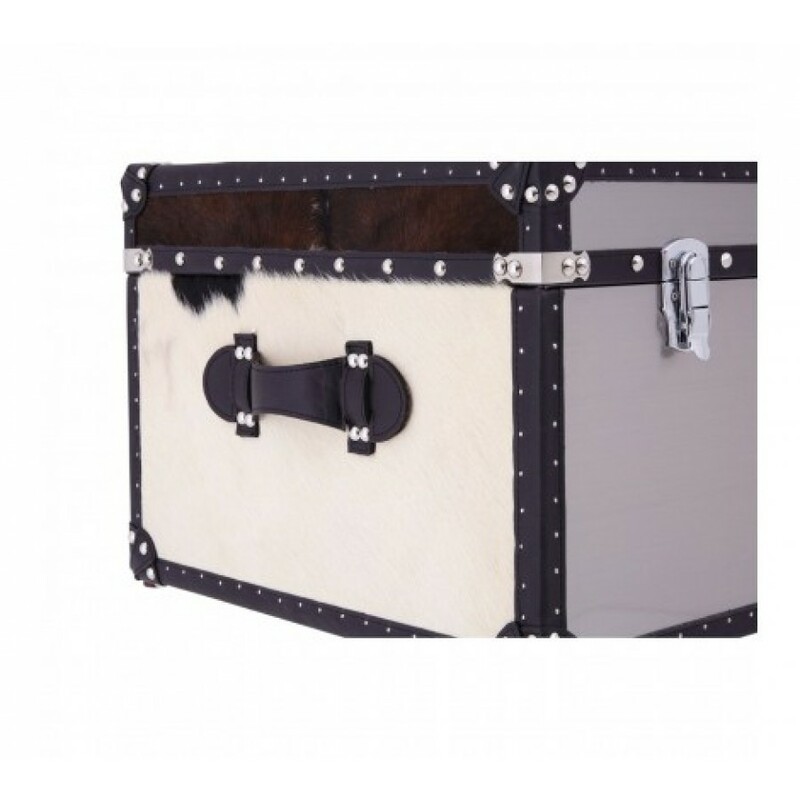 Stainless steel stud detailing around the fringes of the trunk contribute to its luxurious look. 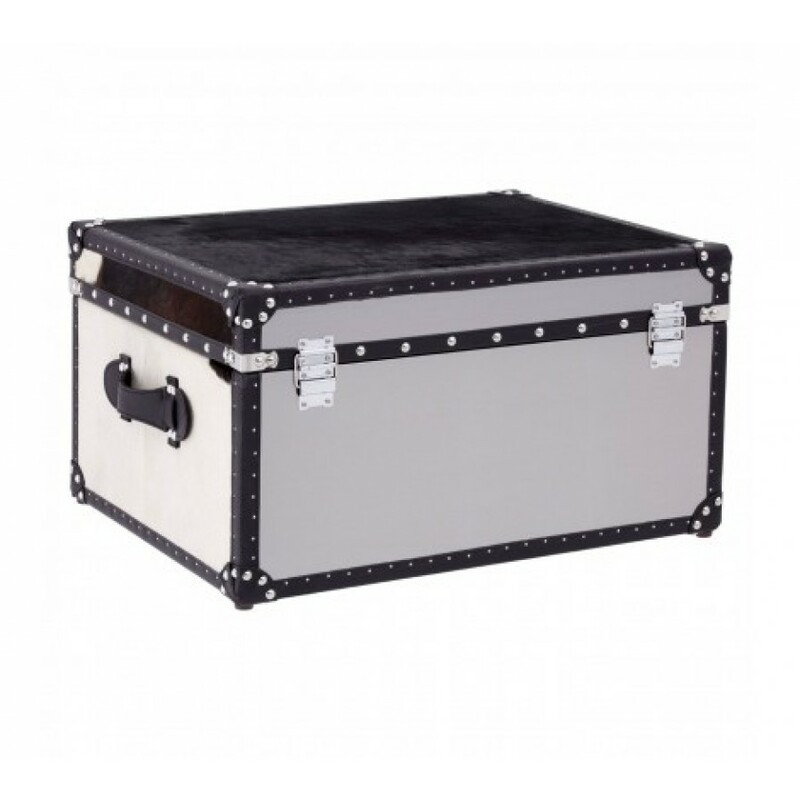 Place it in the living room or bedroom to introduce a hint of monochrome.